Families with children feel particularly at home in the Berwang-Bichlbach holiday region. 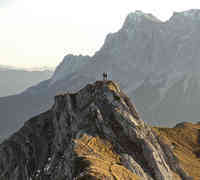 Beyond the big Tyrolean holiday resorts, things are a bit quieter, but there’s still no time for boredom. 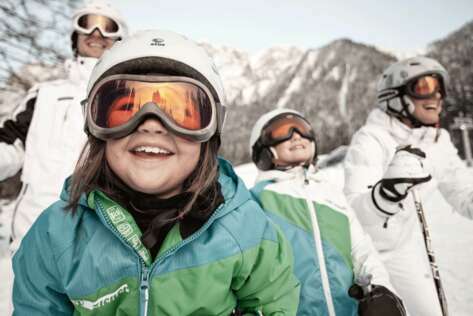 Families with toddlers, school-age children and teenagers will find numerous options for spending active and diverse holidays around Berwang and in the entire Tiroler Zugspitz Arena in both summer and winter. If you like, why not go on exciting trips to Tyrol’s capital Innsbruck or AREA47, the ultimate outdoor playground at the entrance to the Ötztal? 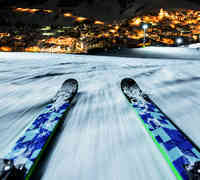 Families with children enjoy many advantages with the Z-Ticket, the holiday card for the Tiroler Zugspitz Arena. 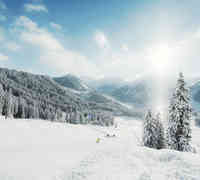 The affordable holiday card includes many free attractions throughout the holiday region by the Zugspitze, such as use of the cable cars. Furthermore, numerous partners offer attractive activities at discounted rates. Our tip: save lots of money with the Z-Ticket, which you can also purchase at the Bergbahnen Berwang valley stations! 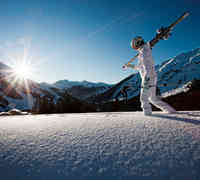 Winter in Berwang-Bichlbach is all about winter and ski sport. 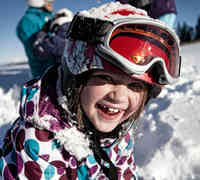 Young slopesters from the age of three feel comfortable in the children’s ski schools. Accompanied by nationally certified ski and snowboard instructors, older kids conquer the slopes. 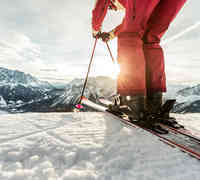 Parents are also invited to enjoy the odd hour of ski lessons or off-piste adventures with a ski sports instructor here and there. There’s also a lot happening beyond the slopes in Berwang-Bichlbach for families with children. 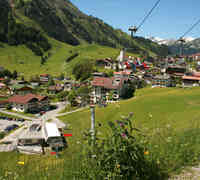 The (night) toboggan run in Berwang is particularly popular, closely followed by the ice skating rink in Bichlbach. If you’d like to give ice stock sport a shot, there are two options available. 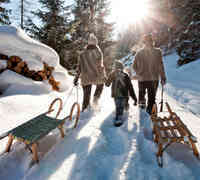 Our tip: winter hikes to farmed alps and cross-country skiing are also rather popular with families! 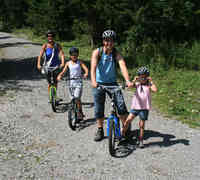 The mountain summer in Berwang-Bichlbach for families is particularly diverse. Babies and toddlers are everywhere to be seen as the Bergbahnen Berwang transport prams, off-road buggies and, most certainly, beloved four-legged companions for free. There’s a special children’s pool with a temperature of 28 °C, a forest playground and a bouncy castle in the Bärenbad public forest pool. The Bichlbach natural swimming pond features a children’s playground and children’s e-quads for young adventurers. The zoo and Bichlbach playpark with petting zoo are particularly popular with small children. Teenagers have their very own idea of a family holiday in Tyrol, which is why there are attractive offerings for them at the Bärenbad public forest pool in Berwang and at the Bichlbach natural swimming pond. Beach volleyball courts, crazy golf, tennis and even a rafting site (Bichlbach) ensure that the holidays with parents and younger siblings are way cool. 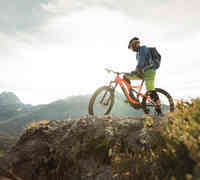 Other tips for teens include the climbing garden in Bichlbach, mountain scooter rides in Berwang and Bichlbach and – for the really brave ones – a tandem flight on a paraglider. Other worthwhile destinations are the lakes Heiterwanger See and Plansee, where it’s all about surfing, sailing, diving and fishing. If you want, why not go on a cruise? 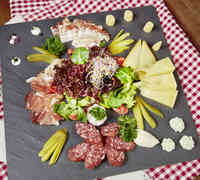 Trips for the entire family are tonnes of fun, such as to the regional capital Innsbruck. During your family holiday in Berwang, you’re only a 1.5-hour drive away from the attractions of the historic city amidst the Alps. Our tips for Innsbruck: Bergisel ski jumping hill with observation deck, the Alpenzoo (alpine zoo) Innsbruck (dogs not permitted! ), Ambras Castle (guided tours for kids), the Goldenes Dachl museum, guided family tours in the Hofburg and the Ferdinandeum museum, the interactive exhibition Audioversum and the Swarovski Crystal Worlds in Wattens. Particularly athletic families should plan on visiting AREA47 at the entrance to the Ötztal (1-hour drive). The 20,000 m² outdoor playground has everything that’s currently popular in terms of action and water sport.